Asiad Steels is one of the recognized manufacturers and distributors of SS XM19 Washers, which is a high strength austenitic alloy and good corrosion resistance. Stainless Steel NITRONIC 50 Washers has corrosion resistance greater than that provided by SS 316 and 316L, plus approximately twice the yield strength at room temperature. 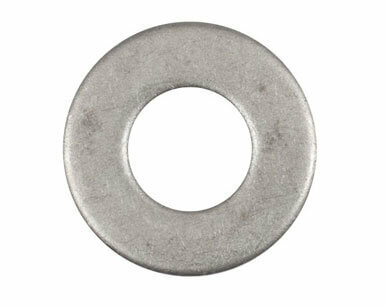 Stainless Steel UNS S20910 Washers is also capable of nearly double the yield strength of similar austenitic grades. The high strength, corrosion resistance, and low magnetic permeability of Stainless Steel XM19 Flat Washers allow it to be used as a material for medical implants. Even after extreme forming, Stainless Steel XM19 Punched Washersstays non-magnetic. Due to all these advantages, Stainless Steel XM19 Machined Washers is often used in boat shafting, marine hardware, pumps, valves, and fasteners. 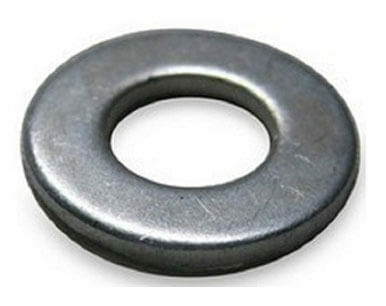 Stainless Steel XM19 Round Washers is also used in components for using the combination of excellent corrosion resistance and high strength, currently include pumps, valves and fittings, fasteners, cables, chains, screens and wire cloth, pump shafting, heat exchanger parts, springs and photographic equipment. Solution annealing of Stainless Steel XM19 Square Washers is normally performed at the temperature range from 1065 to 1120 Degree C followed by being quenched in water or rapidly cooled by other means. Stainless Steel XM19 Spring Washers has machinability characteristics that are similar to other austenitic stainless steels. However, these Stainless Steel XM19 Lock Washers requires slower speeds, more power, and higher rigidity due to its high work hardening rate. 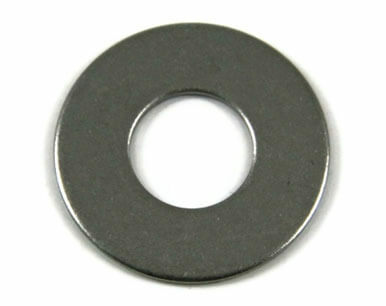 Buy XM19 Stainless Steel Washers at reasonable rates from us. We are Exporter of SS XM19 Washer in Worldwide Such as India, Germany, Gambia, United Kingdom, Tibet, Chile, Puerto Rico, Iran, Kuwait, Norway, Afghanistan, France, Bahrain, Finland, Croatia, Lebanon, Malaysia, Nigeria, Nigeria, Algeria, Brazil, Kenya, Trinidad & Tobago,Tunisia, Zimbabwe, Morocco, Qatar, Iran, United Arab Emirates, Indonesia, Sri Lanka, Angola, China, Jordan, Portugal, Greece, Libya, Israel, Canada, Ukraine, Argentina, Netherlands, Sweden, Denmark, Vietnam, Romania, Bulgaria, Macau, Hungary, Russia, Namibia, Kazakhstan, Colombia, Slovakia, Mexico, Pakistan, Costa Rica, Azerbaijan, South Africa, Ghana, Egypt, Estonia, Thailand, Oman, Venezuela, Mexico, Iraq, Philippines, Bhutan, Poland, Lithuania, Czech Republic, Peru, Austria, New Zealand, Nepal, Mongolia, Gabon, Chile, South Korea, Serbia, Belarus, Belgium, Poland, Italy, Ecuador, Singapore, Bangladesh, United States, Saudi Arabia, Taiwan, Switzerland, Spain, Ireland, Yemen, Hong Kong, Japan, Bolivia, Australia, Turkey. We are Suppliers of Stainless Steel XM19 Washers in India Such as Bhopal, Perth, Bangkok, Visakhapatnam, Sydney, Haryana, Ludhiana, Muscat, Faridabad, Petaling Jaya, Karachi, Granada, Brisbane, Madrid, Singapore, Ankara, Noida, Ho Chi Minh City, Surat, Dubai, Jaipur, Santiago, Pimpri-Chinchwad, La Victoria, Vadodara, Cairo, Kuala Lumpur, New York, Thiruvananthapuram, Doha, Lagos, Chandigarh, Jakarta, Toronto, Al Jubail, Secunderabad, Ahmedabad, Manama, Dammam, Milan, Ernakulam, Colombo, Coimbatore, Rio de Janeiro, Seoul, Thane, Indore, Nagpur, Kuwait City, Dallas, Kanpur, Calgary, Riyadh, Rajkot, New Delhi, London, Caracas, Howrah, Montreal, Aberdeen, Mumbai, Gimhae-si, Vung Tau, Houston, Hyderabad, Hong Kong, Gurgaon, Bengaluru, Algiers, Busan, Chennai, Abu Dhabi, Nashik, Istanbul, Ranchi, Sharjah, Jamshedpur, Mexico City, Ahvaz, Jeddah, Baroda, Edmonton, Navi Mumbai, Los Angeles, Atyrau, Al Khobar, Courbevoie, Tehran, Moscow, Hanoi, Melbourne, Pune, Bogota, Port-of-Spain, Kolkata, Lahore, Ulsan, Chiyoda, Geoje-si.